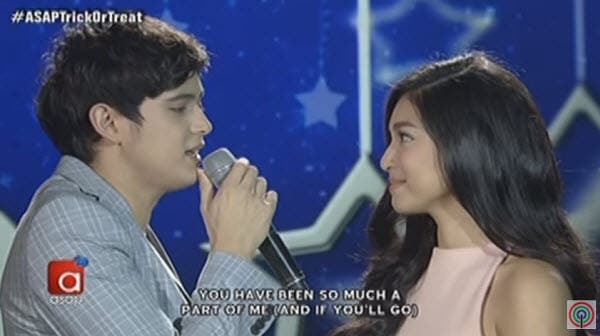 “On The Wings of Love” stars James Reid and Nadine Lustre sang “Say You’ll Never Go” by Neocolours on Sunday’s ASAP 20. James and Nadine recently held a record-breaking mall tour in Market! Market! last Sunday afternoon. Furthermore, their teleserye “On The Wings of Love” is extended until February 2016. I hope may studio version na ang JaDine sa Say You’ll Never Go ang ganda kasi pakinggan. Still waiting! kamukha ni rene requestas.. pwedeng iba na lang sana tumula..